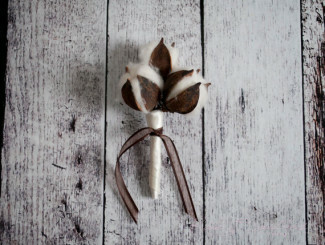 Are you planning to make unique boutonnieres for your groom, groomsmen, and family members? 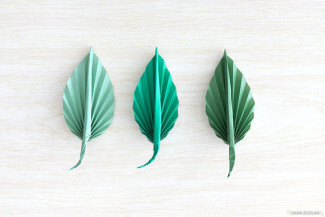 Why Put Effort into Creating Unique Boutonnieres? 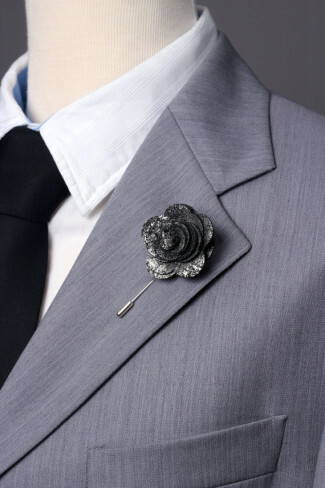 A boutonniere is one of the few items that the groom can wear to make him truly standout on his wedding day. 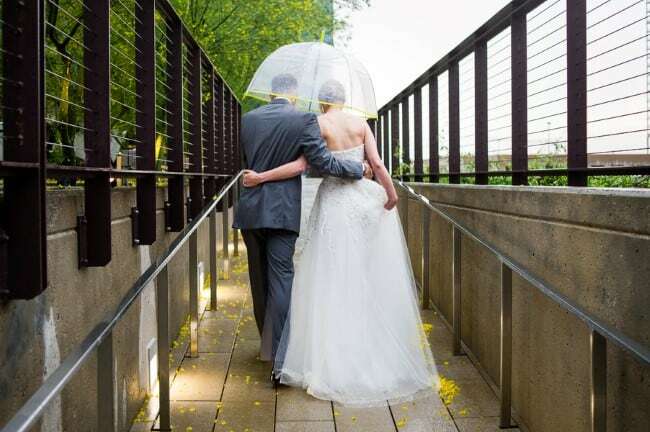 Most grooms choose to wear a traditional black tuxedo or dark suit. There is nothing wrong with traditional groom garb, I happen to think a black tuxedo is the attire for a groom. 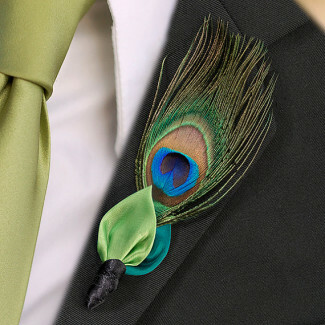 How then does a groom stand out and truly define his personality and style? 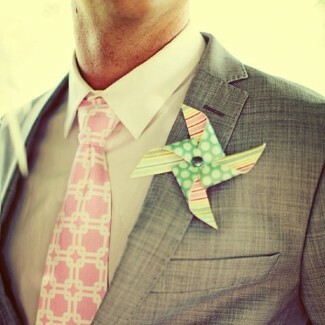 The boutonniere is a solid candidate for uniqueness, quirkiness, and sentimental value on his wedding day. The tradition of men wearing flowers on their wedding day is centuries-old and spans many cultures, from the Hawaiian lei to the Thai puang malai garland to the classic boutonniere. The boutonniere is often credited to Prince Albert and his wedding in 1840 to Queen Victoria. 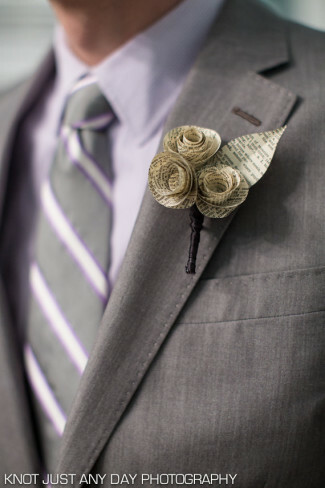 Legend says that he cut a slit in his jacket to slip in a flower his bride-to-be presented to him from her bouquet. 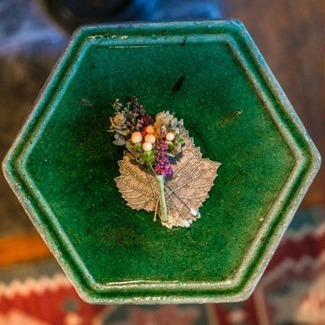 The daily boutonniere fell out of favor in the 1960s, today men throughout the U.S. and Europe only don a flower for special occasions including weddings, high school formal dances and military services. 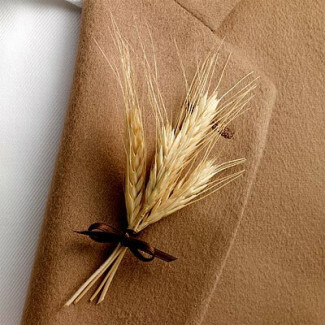 During a wedding, the groom, groomsmen, fathers, grandfathers, ushers and ringbearer typically wear a boutonniere on the left of their suit jackets. 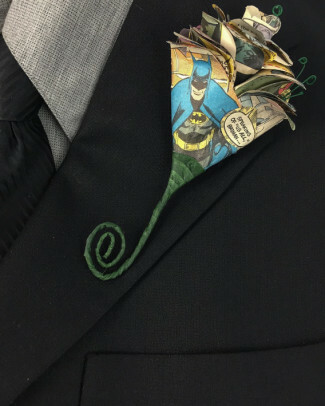 I had one of my good friends (a craft expert) create unique boutonnieres for my groom, the best man, an usher, and three other family members. 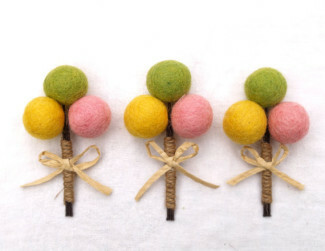 I am indebted to the loving time she spent crafting the boutonnieres, they turned out amazing! Moreover, they are truly a keepsake that both my husband and I can enjoy for years to come. What were my unique boutonnieres? 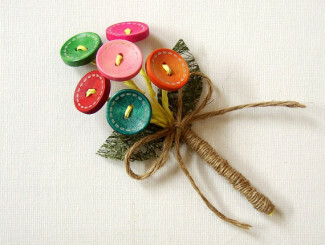 Champagne corks with a rose, baby’s breath, and ribbon. The cork that became my husband’s boutonniere was the cork from the bottle of champagne that we drank the night of our proposal. My husband proposed outdoors with a stunning red/orange sunset at dusk on top of a centuries old tower in the heart of Florence, Italy. With that much romance in the air, it would have been impossible for anyone to say no! After my tears subsided and my heart stopped racing, we dined on a plate of gourmet food and drank a bottle of champagne while taking Florence’s skyline in the dwindling light. It was such a magical moment that I will always cherish. We kept the cork in our luggage throughout the rest of our trip in Italy and Germany. For me, the cork had special meaning and symbolized the night of my engagement and the memories attached to it. On its own, the cork is just another fashioned stopper to keep a little bubbly inside a bottle. However, because of the sentimental value attached to it, our special cork was transformed into a defining fashion piece for my husband’s wedding day. I tell you my boutonniere story in order to get you thinking about how you can make your husband-to-be feel special on his wedding day. As much as it is your day, it should be a special and memorable day for him too. 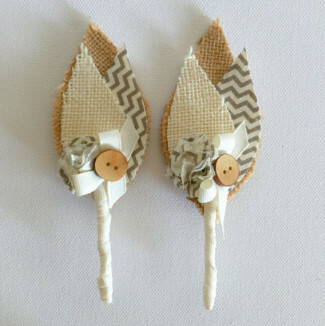 If you are crafty and are not afraid to use a glue gun, a DIY boutonniere project is perfect. 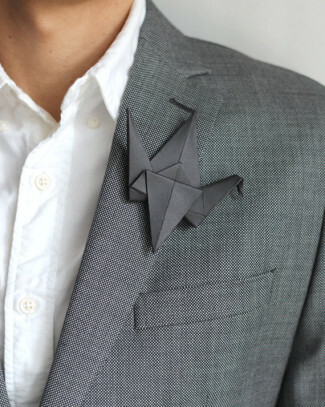 Otherwise, enlist the help of a good friend (like I did) to help you craft a boutonniere your man will love. Brainstorm: What are his hobbies? Is he into sports like golf, basketball, or baseball? Is he a huge Star Wars fan? Come up with a list of 5 of his top hobbies. Sentimental Objects: Find items that you have kept from either your time dating, your engagement night, or some other special time in your relationship. Besides the cork from the night of my engagement, I could have selected a sea shell that my husband found on the beach and gave to me early in our dating life. 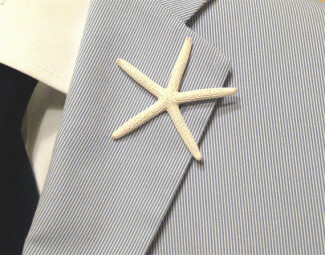 Select Items: Select the final items to assemble the groom’s boutonniere. This could include one or more objects from your list above as well as flowers or decor. 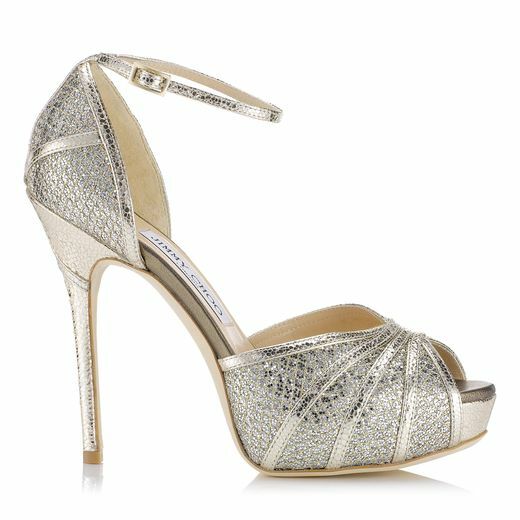 Integrate Into Your Wedding Theme: Make sure the objects you choose fits into your wedding theme. 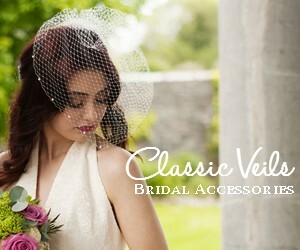 I had an elegant 1920s Gatsby vision wedding at a gorgeous Victorian manor house. A glitzy champagne fountain centrepiece in the inner foyer created a focal point for our overall style, so the cork boutonniere blended effortlessly into the wedding style. Test Your Finished Boutonniere: I made the mistake of not testing the boutonniere before my husband pinned it on his tuxedo. The flowers for the boutonniere were purchased the day before the wedding, which meant my unfortunate girl friend created his champagne cork boutonniere (along with 5 others) the night before the wedding! The finished product was top heavy, and required some last minute pinning about 10 minutes before the ceremony to keep the boutonniere tightly in place. Luckily the base was the champagne cork and allowed for any amount of pins to easily be stuck into it and secured to the tuxedo. I suggest testing your finished boutonniere ahead of time to make sure it is not too heavy, oversized, and it looks the way you want. 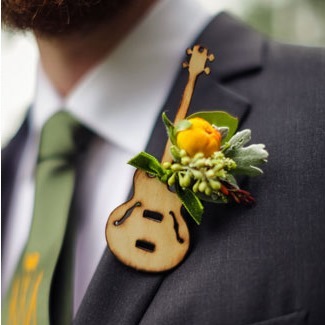 Whether you choose floral or non-floral boutonnieres, try crafting up some of these creative boutonnieres for the men in your wedding party. Don’t have the time? Click the link and buy them online from Etsy. They’re just so cute and full of personality!